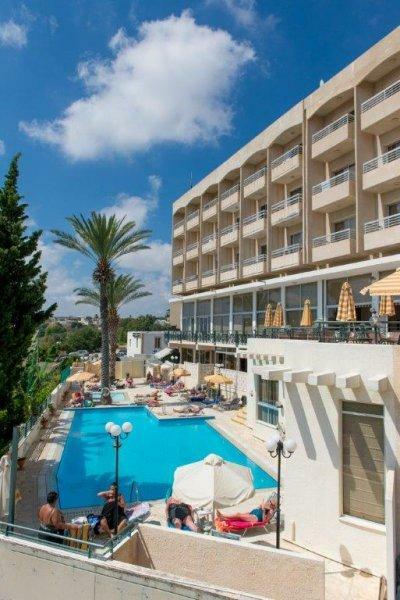 The Agapinor 3 star Hotel is an exceptionally good value for money small and friendly Budget Hotel, superbly situated in the centre of the Old Town of Upper Paphos - Cyprus, offering guests a home from home experience. 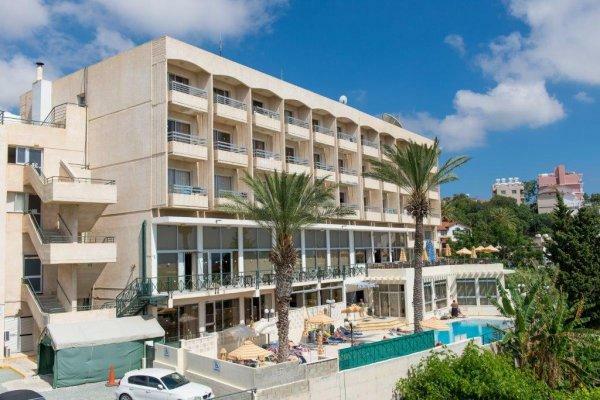 With 73 rooms across five floors it welcomes guests in the foyer with a convenient 24-hour reception, two lifts, panoramic views and hospitable staff making it an ideal place for a holiday away from the beach. 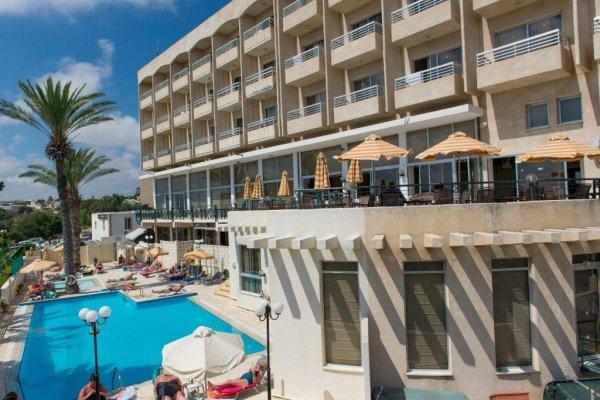 Bus stops are situated directly outside the Hotel and 200 m away and there is a regular bus service operating. Hotel Facilities include: 24 hour Reception, currency exchange, Free WiFi in Public areas, WiFi available in guest rooms with surcharge, 5.00 Euro for 1 day, 10.00 Euro for 3 days or 20.00 Euro for 7 days - available from reception, Café/ Bar with Sun Terrace, Neptune Breakfast Room & Artemis Restaurant (Non-smoking), small library/ book exchange, Athena Conference Room, 2 elevators, Swimming Pool with loungers & parasols, Neptune Pool Bar serving beverages and snacks (summer only) & private parking area. The individually furnished guest rooms all come with an en suite bathroom with a bath with overhead shower, shaving sockets, air-conditioning & central heating for the winter months, hairdryer, 24' LED Flat Screen TV with many satellite channels, direct dial telephone, room safe (payable locally, WiFi (with fee) and balcony. Dining: Buffet Breakfast is available daily from 07:00 - 10:00 in the Neptune Breakfast Room. Dinner, which is buffet self service, with waiter service for drinks , is available from 19:00 - 21:00 with last orders by 20:30 in the Artemis Restaurant.